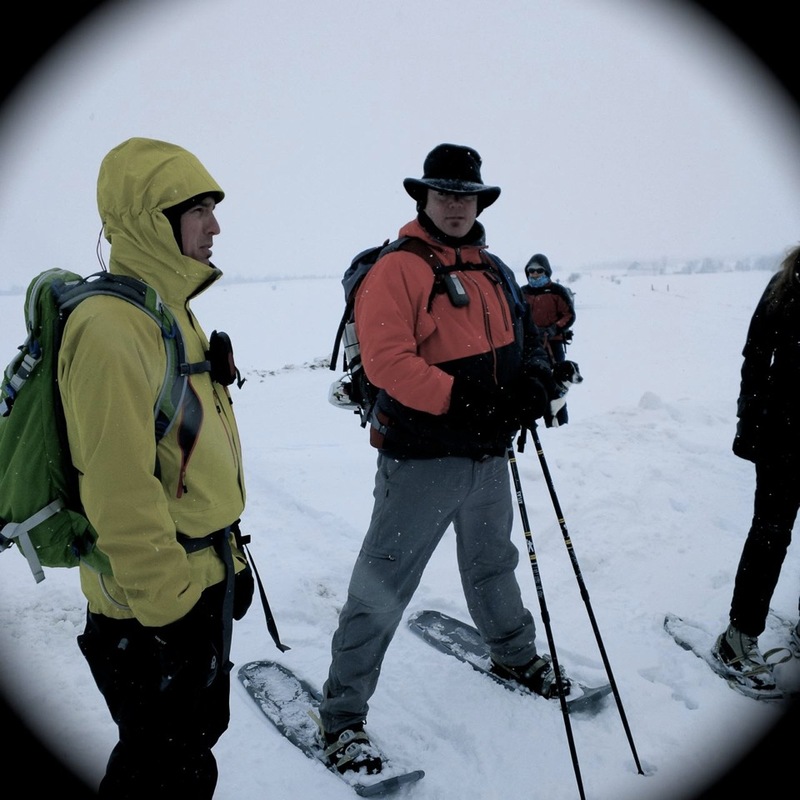 Weather conditions were very similar to the snowshoe a month earlier with overcast skies and cold temperatures, but it didn’t take long to warm up once we started snowshoeing. Along the way we came across evidence of active wildlife in the wetlands including an Otter track (slide) that lead to a hole marking the entrance to its hunting grounds under frozen Willow Creek. In the trees along the Nottawasaga River we could here the calls of woodpeckers. 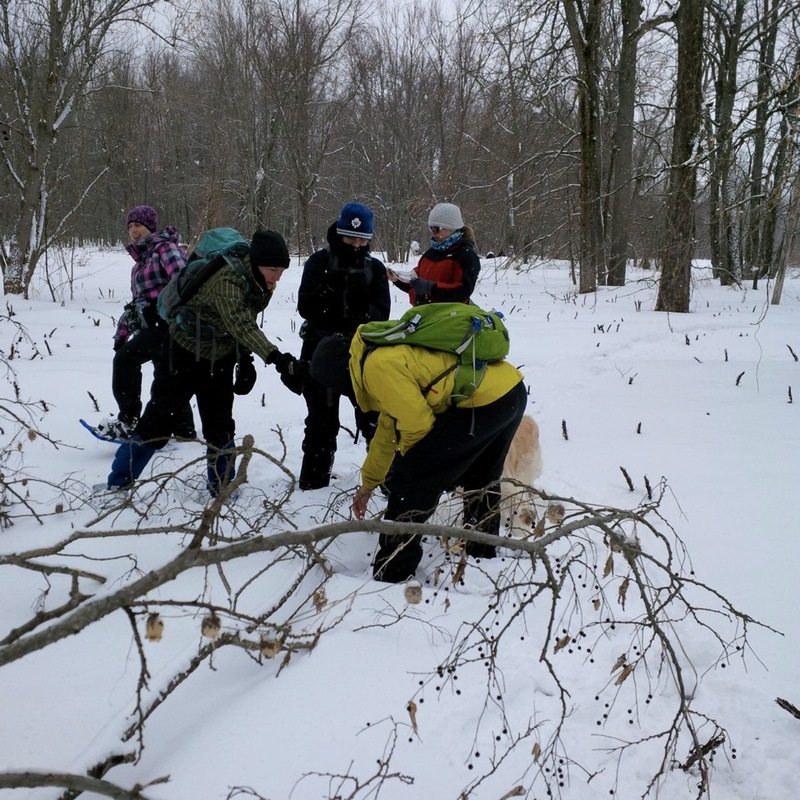 The group collected Hackberry fruit again, which will end up in a nursery for up to 4 years before being planted along the Nottawasaga River levee as part of an afforestation project aimed to bolster forest cover in the Minesing Wetlands. Gathering the low hanging fruit! 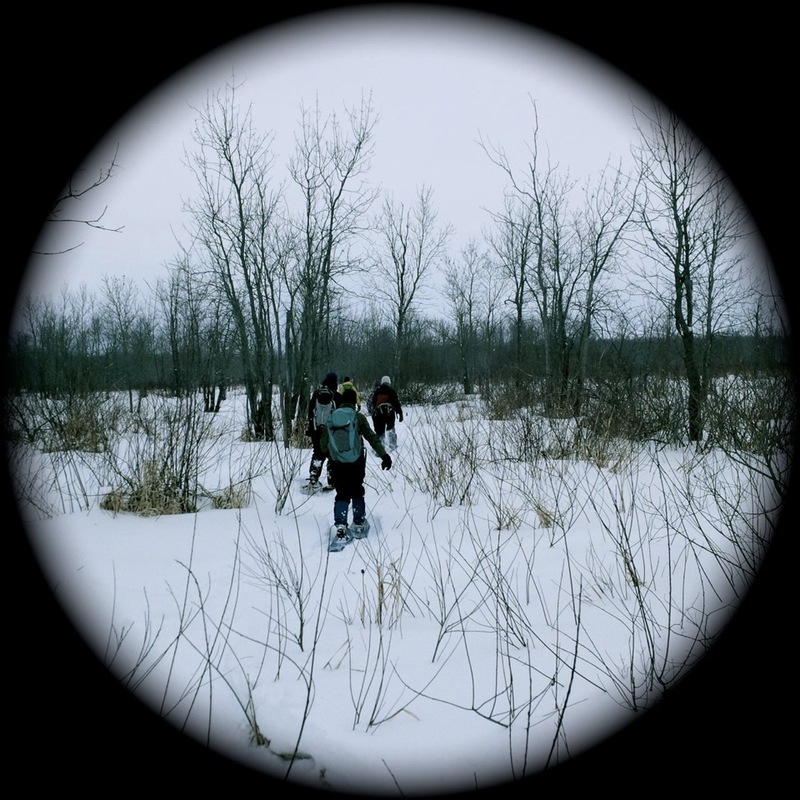 From the levees of the Nottawasaga river we pushed out onto the frozen floodplains where the Great Blue Heron nesting site (heronry) is located. As reported earlier this month we confirmed 8 nests. The decline in nests in the Minesing Wetlands could be attributed to declining forest cover (less suitable nesting sites) and, as pointed out by our trip leaders, territory issues related to neighboring Bald Eagle nests. It was a fun and educational day that gave our guests a unique look at the Minesing Wetlands. Thanks to all who participated! 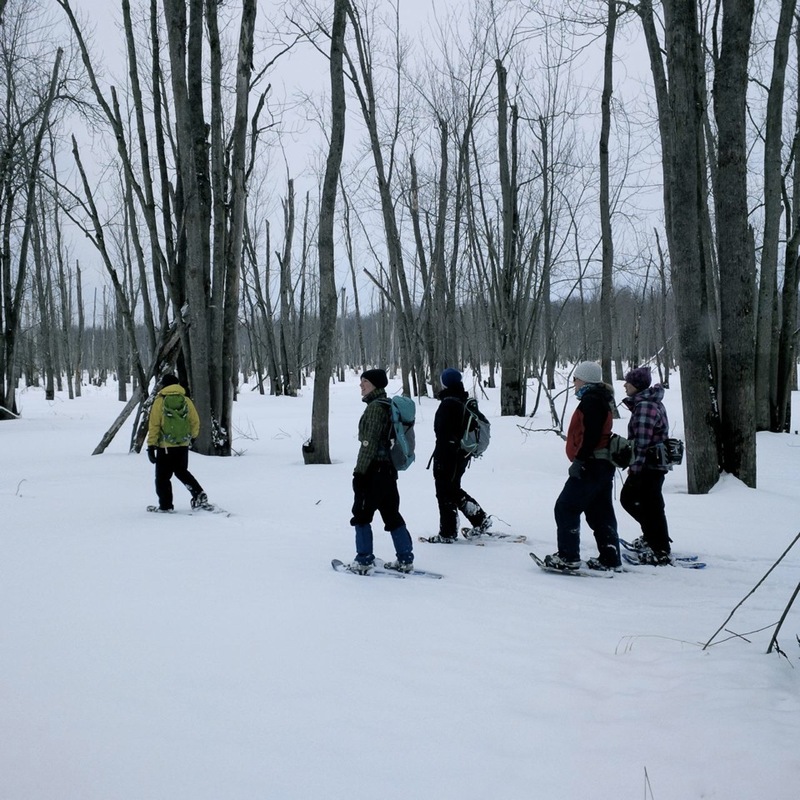 Categories: Tour | Tags: Common Hackberry, floodplain forest, FOMW, Heronry, levee forest, nottawasaga river, snowshoe, willow creek, woodpeckers | Permalink.